As I`ve written last week I have been to Istanbul 4 times in the last 3 years and have always been searching for records. I didn`t know a lot about Turkish rock or pop music so a lot of names were unfamiliar and it was hard to pick the right ones. Only the last time I found some good stuff. 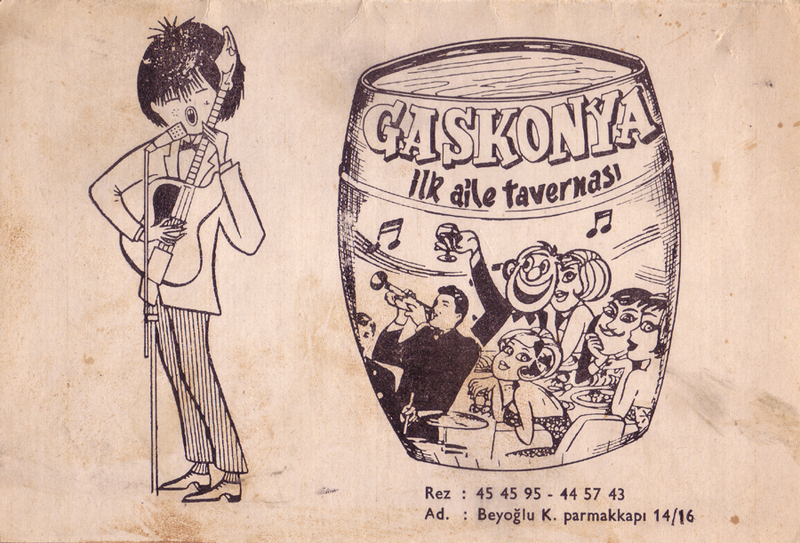 Sometime last year I remembered that I had a whole box full of Turkish 45s in my basement. When my girlfriend and I moved into our apartment ten years ago, we needed some furniture and bought two very cheap 50s cocktail-armchairs in a nearby thrift-store. On the way out I spotted this box of records and asked how much they were. The owner said: “Just take them for free”. They were dusty and without sleeves but I took them all. When I got home I gave them a quick listen and was disappointed that they appeared to be just boring traditional folk music. So they went to the basement. Last year I remembered this box and with my new knowledge about Turkish music I saw them through, cleaned them and gave them all a spin again. 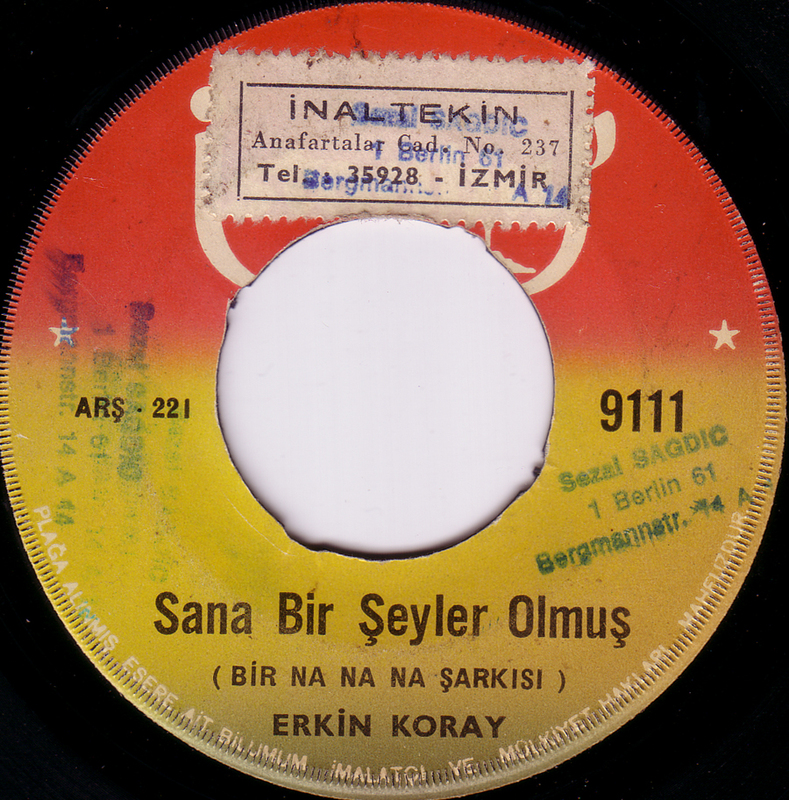 That`s when I discovered this great Erkin Koray 45 that I`ve had all these years and didn`t know about it! Anybody who knows anything about Turkish rock music knows that Erkin Koray is the king of Turkish rock`n`roll. 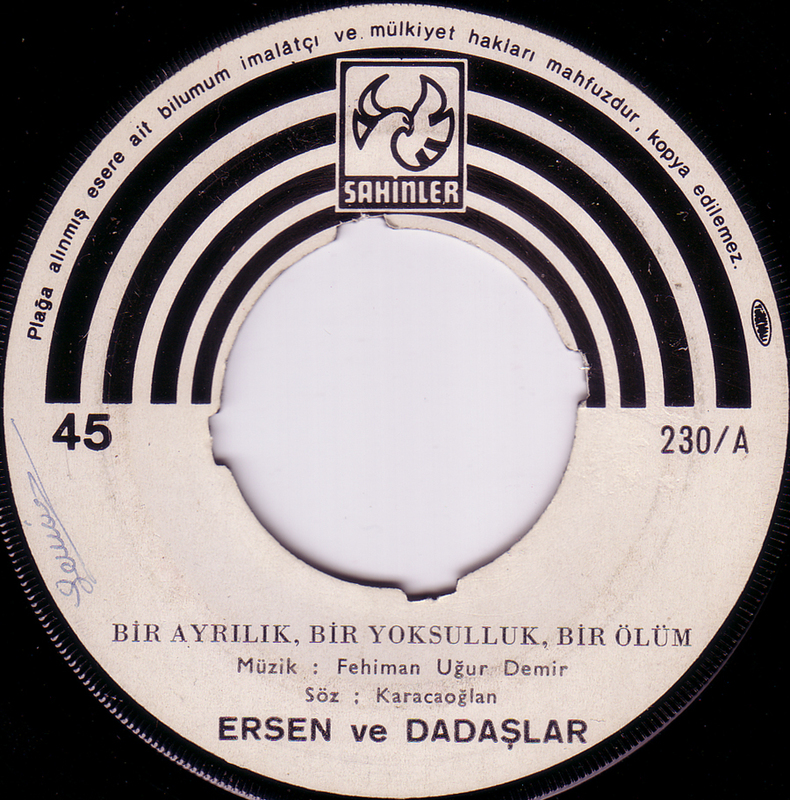 So this record is not a rarity or obscure, but a Turkish hit record. 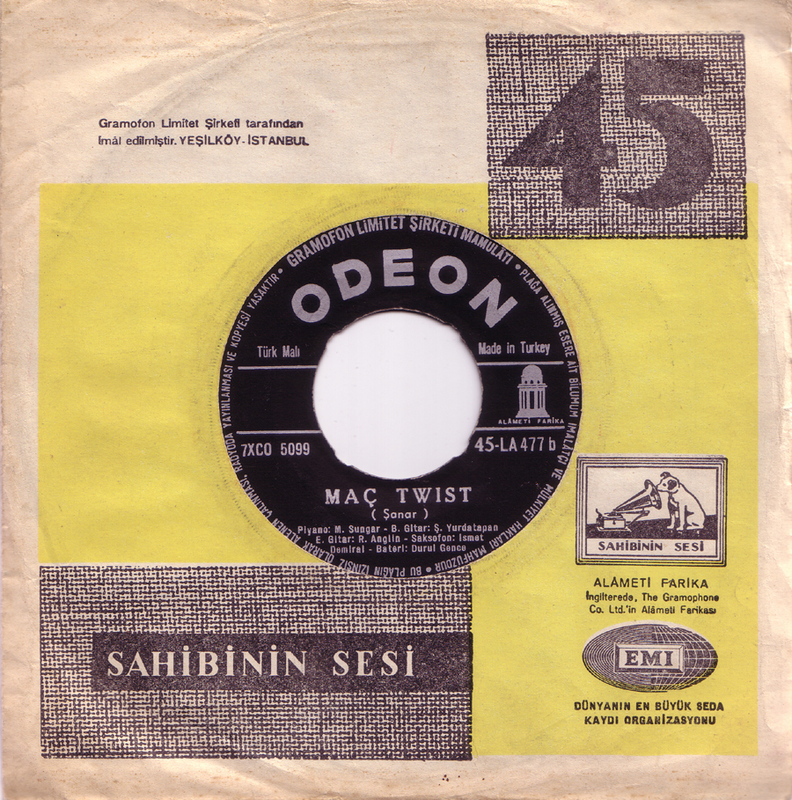 “Sana Bir Seyler Olmus” is a great cover version of “The land of a 1000 dances”, written and first recorded by Chris Kenner in 1962.